I already covered how to spot a bad nurse in another article, but don't you think for a second that I believe all doctors are saints. Being a good doctor is hard work, especially considering the current state of our health care system. Some doctors, however, are simply bad news. And because most doctors today have comparable education and credentials, bad doctors don’t exactly stick out like sore thumbs. I recently read a Facebook post from a physician in a southern state about an encounter they had with a small town orthopedic surgeon. The physician posting on Facebook was the patient's primary care doc, and the surgeon who was the subject of the post had performed a "routine" knee arthroscopy. The patient's knee became infected, and the primary care doc made several attempts to get the orthopedic surgeon to see the patient and treat the infected wound. However, according to the primary care doc, the surgeon refused, stating that, "his patients never get infected!" The patient eventually had to travel to the academic center for treatment. Whether they are unsympathetic, brusque with patients, overworked, disrespectful of other doctors’ opinions, a bad fit for the profession, or out of touch with the latest treatments and therapies, you (and your patients) should avoid these physicians like the plague. If something seems off with a fellow physician, it probably is. It may be nothing more sinister than a bad case of “doctor burnout,” but it is nonetheless cause for concern. Regardless of the cause, your recommendation of another physician can reflect positively or negatively on you and your practice. Don’t risk your reputation by making a referral to a doc that you are lukewarm about. If you detect that a doctor is indifferent or uncaring, it is best to steer clear. Warning signs of a bad attitude include being consistently cold, rude, or dismissive of your concerns. Good doctors are warm, interested, and engaged and will take the time to make you feel comfortable. Also: beware of fancy degrees, offices, or advertising campaigns—they can sometimes camouflage a bad attitude. Everyone makes mistakes now and then, but a pattern of sloppiness, communication problems, and errors suggests that something is going on behind the scenes. Small problems or mistakes, such as failure to return calls, ordering incorrect tests, or neglecting to update a patient’s records, may not initially seem like a big deal. But, a series of small careless errors boosts the likelihood that you and your patients could eventually end up dealing with the consequences of a serious, life-threatening mistake. Doctors who consistently recommend unwarranted tests and procedures may be fearful of malpractice claims, inexperienced, unsure of their own medical knowledge or distrustful of their instincts. Whatever the reason, it won’t boost a patient’s confidence and will cause additional expense and inconvenience. And, it is a huge red flag if a doctor becomes offended when you question his or her judgement, share thoughts about your independent research or seek a second opinion. 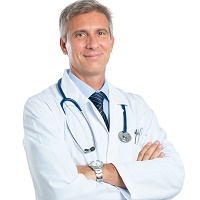 If a doctor is recommending outdated treatments and therapies, you need to find a practitioner who is more in touch with the latest medical developments. It is especially concerning when a doctor refuses to try new, improved techniques despite evidence that supports their safety and effectiveness. Whether the doctor is unwilling to get out of his or her comfort zone, or is not up to speed on his or her journal reading, it does not bode well for future patient care. Ask yourself if the doctor has a track record of respecting the wishes of patients. Does the doctor try to steamroll patients and pressure them to pursue unwanted treatments? Does the doctor use scare tactics to get his or her own way, or say “I told you so?" Does the doctor really listen to a patient’s concerns, answer their questions, and ensure that the patient understands his or her condition and treatment plan? Is the doctor respectful of a patient’s or a colleague’s time? If the answer to any of these questions suggests a lack of respect, stay away.